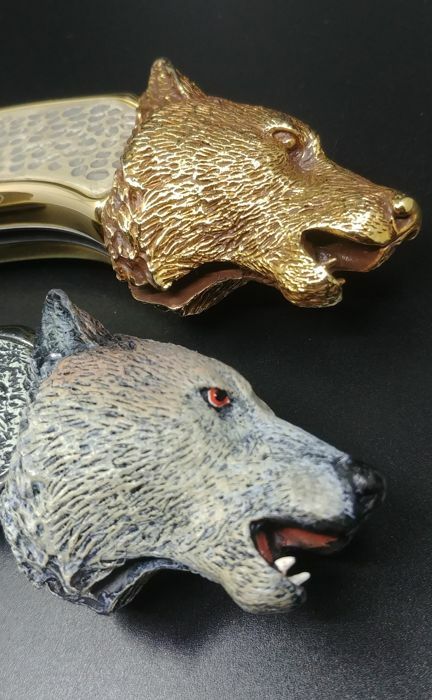 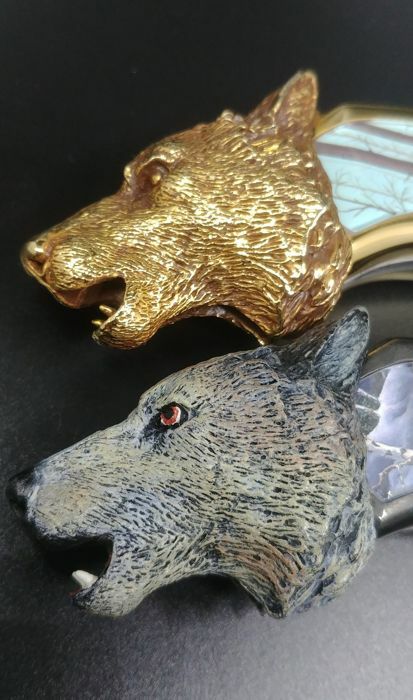 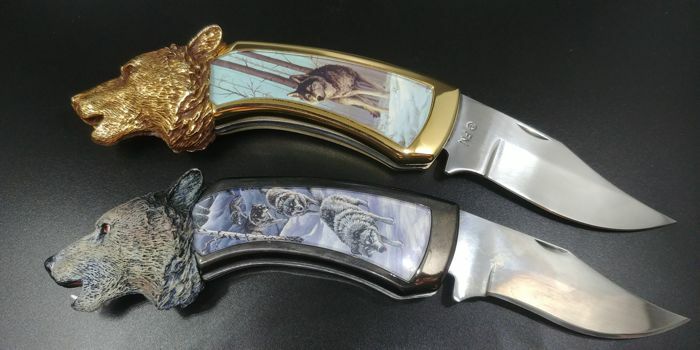 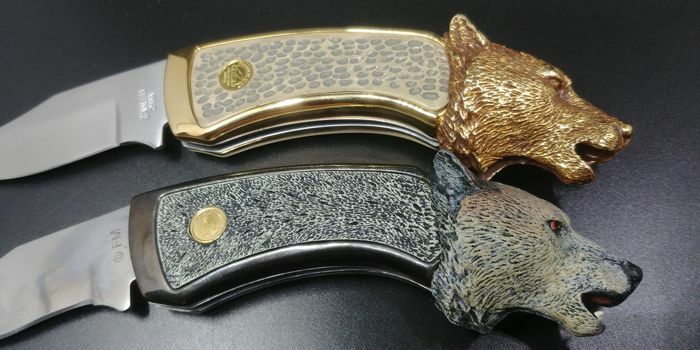 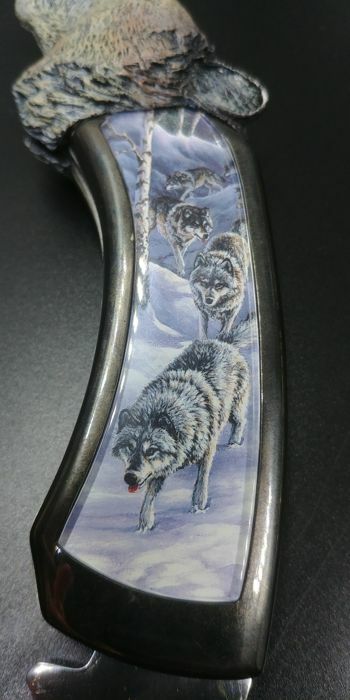 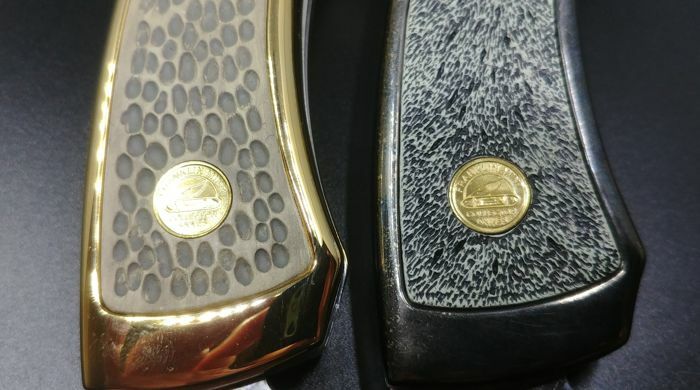 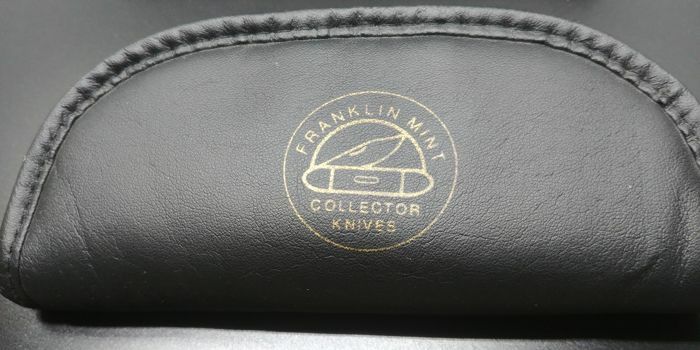 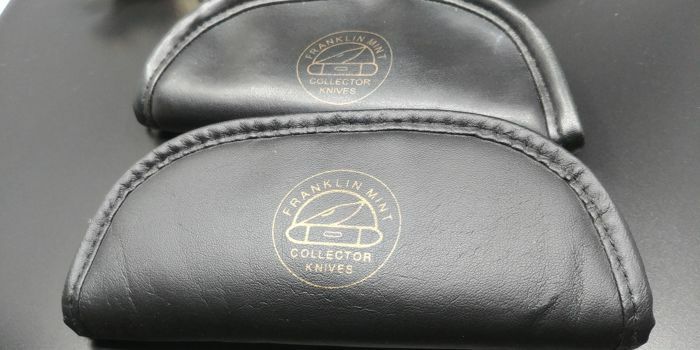 2 Franklin Mint wolf knives. 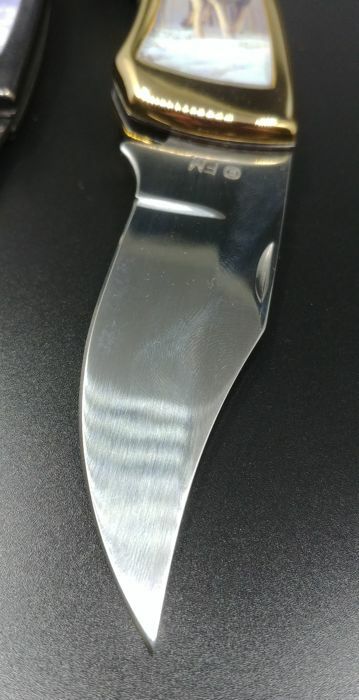 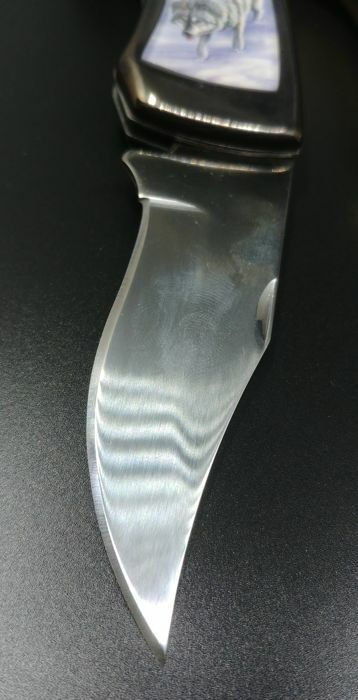 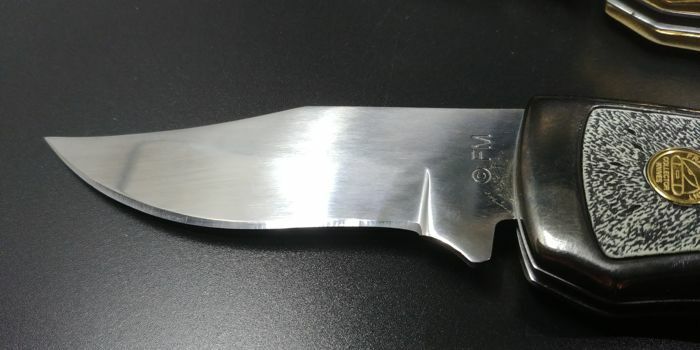 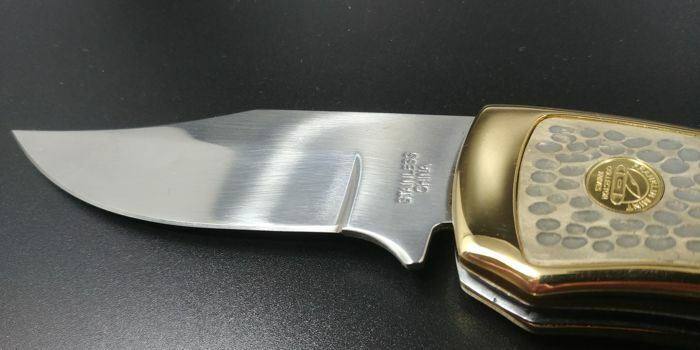 The knives measure 20 cm in total, 12 cm closed. 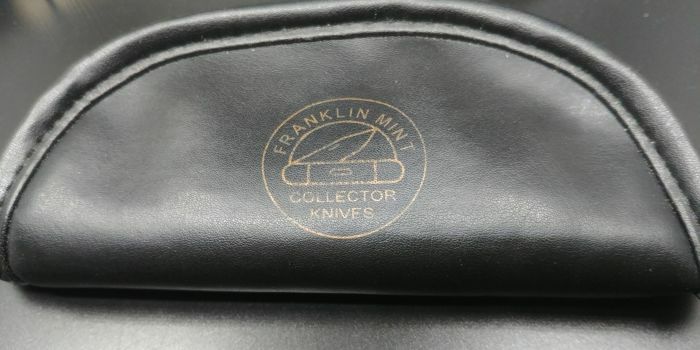 Please see the numerous pictures in order to get a good idea of the exact condition of the objects.